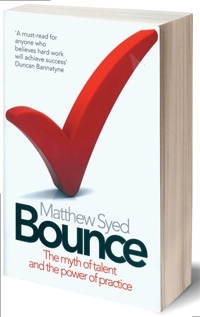 Bit of a different post tonight but I could read "Bounce" by Matthew Syed a million times and not get bored. A bit of background history, Matthew Syed is an international table-tennis champion, from Reading. He lived on a street in which many young people grew up to become elite table-tennis players, through sheer practice and determination, and from the help of a top national coach. He remained English number one for many years and competed in two Olympics. This book really helped me to remember that if I want to succeed in my A level grades, I need to work ridiculously hard. Recently, i've found my levels of motivation have varied depending on my mood at the start of the day, thus a book like this reminds me that hard work is what will help me to succeed in the end, not sitting on my bum doing nothing during the Easter holidays! Syed explores the notion that some people are born with a particular "gift", meaning that their abilities are far superior to others, suggesting that only those with natural talent can become world class. The result is that he completely shatters this myth that mysteriously sticks in a society where everyone wants to be better than everyone else yet gives up as soon they feel that they are "worse" than someone else. This myth of talent is so prominent in secondary school, from my experience. In every class there has always been 2 or 3 students that appear much more gifted at a subject than everyone else. The result is that the rest of the class often feel they can never match the grades of those because their "gift" reigns supreme over everyone else. However, I completely agree with Syed that the key to real success is highly targeted practice in areas that you are weakest. 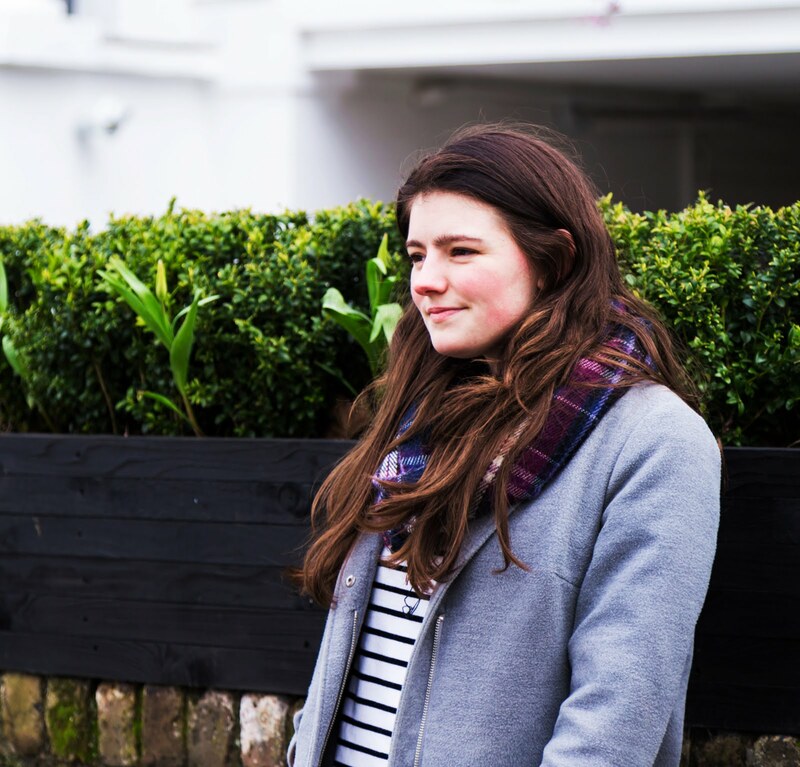 An example is my AS level Economics exams last year; I spent all year struggling to keep my grade at a good level, until I decided to stop struggling, to work my socks off and just try to get the best grade I could. The result was that I achieved a high level B overall for Economics, I was over the moon! My point is that the myth of talent is so destructive - it puts people off as soon as they hit a wall or when they can't do something, because the "gifted" can do it. The answer is that most of the time the gifted have also worked their socks off to achieve those consistently high grades. Syed made the book highly interesting with plenty of studies, and by shattering the idea that elite sportsmen such as Tiger Woods, or the William's sisters, Venus and Serena possess a pure and innate talent. The reality is that they were pushed to their sporting limits as children, and as a result built up more than 10,000 hours of practice before they were 15. This is what Syed argues is the key to worldwide excellence - at least 10,000 hours of practice in order to become a true master in anything from roller skating to face painting. This book seriously inspired me, and I always read some of it whenever I feel demotivated about revision or under confident in my language ability; it keeps me the peppy kick up the bum that I need to stop moping and to just keep pushing on! For that I am ridiculously grateful to Matthew Syed for this book, purely inspirational and reminds me where I lack in "talent", I make up for in my effort and determination.